It’s been a busy month, with the start of ‘the season’, and now we are open 7 days a week until the end of September. It’s been a bit of a mixed month weather wise, but looks like things are now finally hotting up – hooray! Our great celebration this month is that our lease has been renewed for another 5 years which is great news; we celebrated our third birthday for the lease on the 28th June and will celebrate our 3rd birthday of opening our doors on the 7th July :). Looking forward to another 5 years of meeting lots of lovely people and sharing our work and enjoying our view! 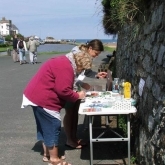 Our other piece of news for June was that we took part in the craft trail for the Bude Arts and Music Festival (BAAM) over the weekend of 13th and 14th June. 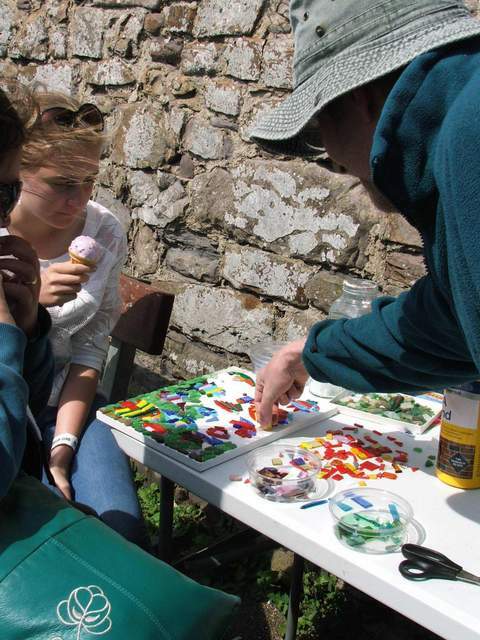 This was a great event mostly held on the Castle grounds (behind our studio), with lots of live music, entertainment, food stalls, craft stalls and the fabulous ‘It’s Not Rubbish’ Art show, where people were invited to create pieces of art depicting creatures of the deep from rubbish collected from the beach. 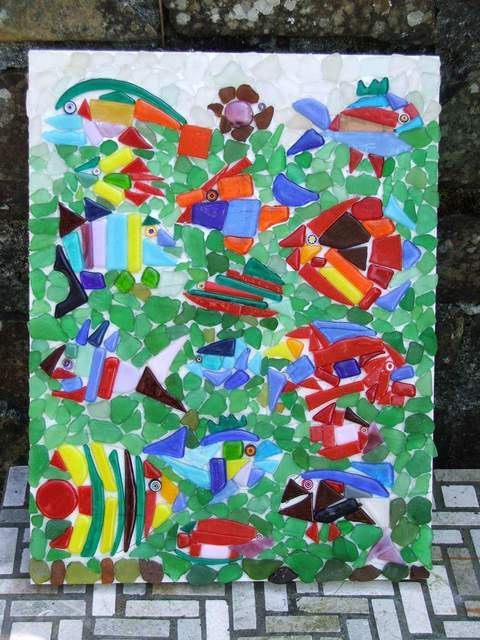 A great way to clean the beach and recycle and create art all at the same time. 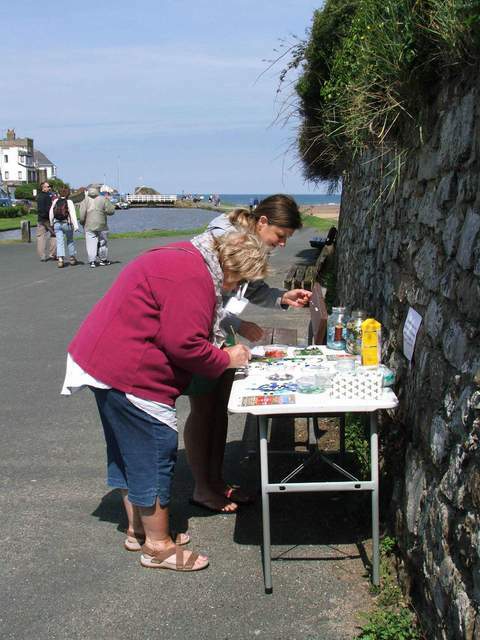 There was also a craft trail, where some of the workshops along the wharf took part and something we did. 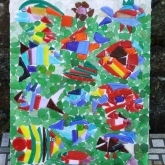 Our involvement was about creating a piece of glass mosaic art work, based on the creatures of the deep theme where visitors could come and help to create this mosaic as a community project. We had lots of visitors and a fabulous piece of art at the end of the weekend. 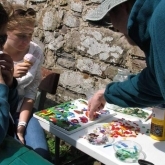 Watch this space for news on what is happening to this great piece of community art work. We would like to say a huge thank you to everyone who took part in this and look forward to doing something similar next year.